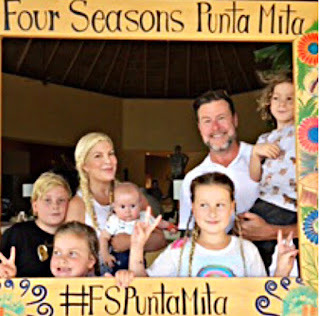 The actress and businesswoman enjoyed some family time off at the Four Seasons Resort Punta Mita, located on the Riviera Nayarit’s Glamour Peninsula. 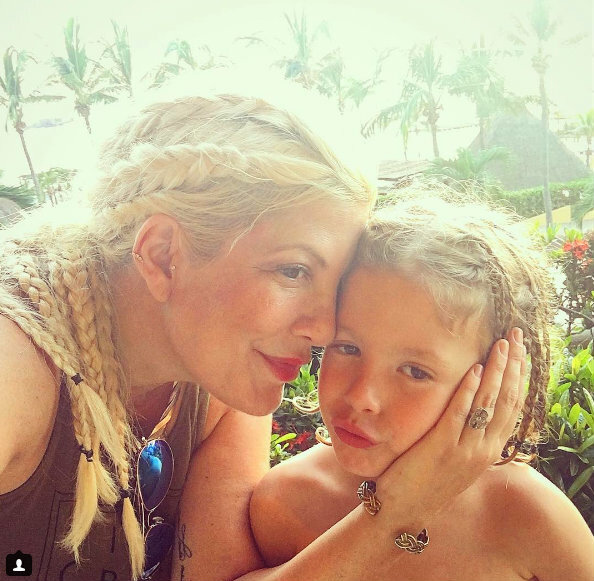 The luxury and exclusivity of the Riviera Nayarit’s Glamour Peninsula has once again attracted the attention of actress and businesswoman Tori Spelling, who visited accompanied by her husband, actor Dean McDermott, and their five children. 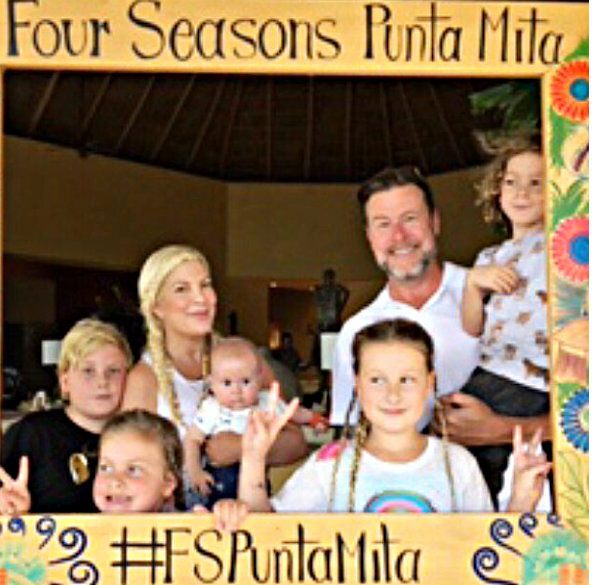 They spent a spectacular weekend at the Four Seasons Punta Mita hotel. It was Tori herself who published a series of images on her social media, which showed her happy and relaxed with her family, enjoying the attention offered by the hotel and the natural beauty of this tourism destination. The couple has five children: Liam, 10; Stella, 9; Hattie, 5; and Finn, 4, as well as the baby, Beau Dean, who is only 6 months old. Spelling is known for her role as Donna Martin in the TV series Beverly Hills 90210, which ran from October 4, 1990 to May 17, 2000 during prime time on FOX TV. Since then, she appeared on a few chapters of the series Saved by the Bell and in independent films including A Trick and The House of Yes, as well as small roles on big screen films including Scream 2 and Scary Movie 2. Currently she stars in the reality show, Celebreality, on VH1. This is the second time the couple visits Mexico’s Pacific Treasure; the first was in June 2013 when they vacationed in the destination and took advantage of the visit to celebrate Tori’s birthday and their seventh wedding anniversary. The Riviera Nayarit has positioned itself as a celebrity favorite, with visits from A-listers including soccer star Thierry Henry, Kate Hudson, Felicity Huffman, Gerry Lopez, sisters Kim and Kourtney Kardashian, Lady Gaga, Courteney Cox, Charlie Sheen, Mario Lopez, Sofia Vergara, Kirsten Dunst, Juliette Lewis, Eva Longoria, Justin Bieber and Selena Gomez, Demi Lovato, and Kendra Wilkinson, just to mention a few. The work done by the Riviera Nayarit Convention and Visitors Bureau (CVB) is reflected in visits from celebrities like Tori Spelling and Dean McDermott, which contribute to position the destination as one of the best on an international level, and highlight how important it is for hotels, restaurants, government authorities, tourism service providers and the community in general to be constantly improving visitor experience.